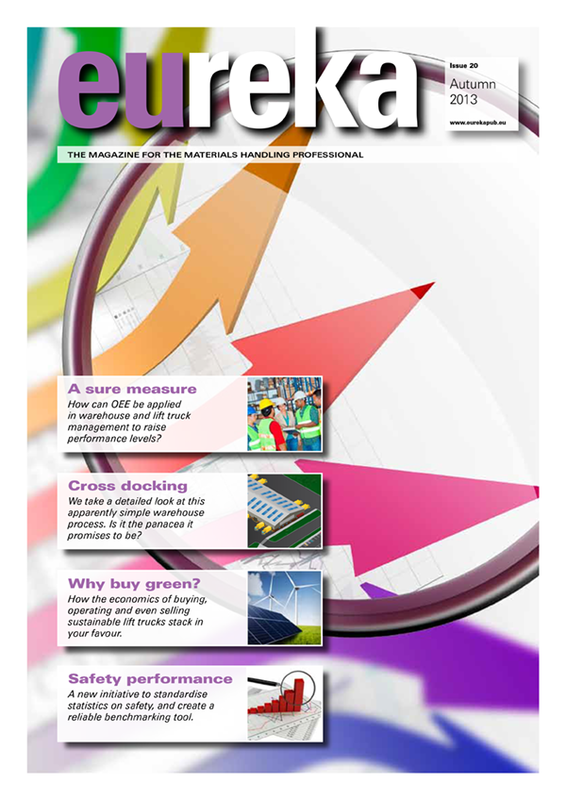 Home / Productivity / Cross docking, the ultimate panacea for warehouse design? 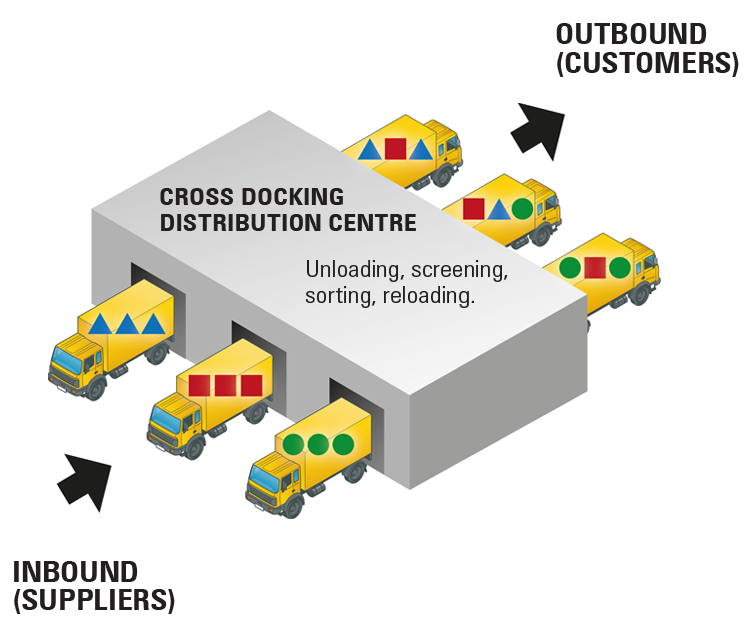 Cross docking, the ultimate panacea for warehouse design? Changed consumer buying behaviour and harsh economic times compel logistic managers to rearrange their supply chain. Cross docking seems to hold many positive promises, but will it provide a solution for everybody? Gian Schiava finds out pros and cons. The recent boom of e-commerce has changed the way we buy goods forever. It has also led to increased expectancies with regard to delivery times, choice and customer service. 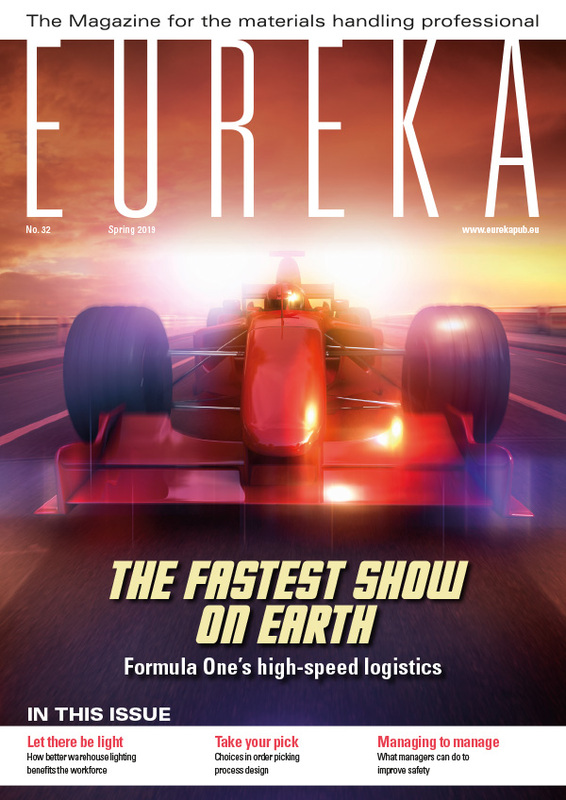 We read in eureka 19 how new business models are evolving and thriving. In addition to this, overall expenditures are diminishing and it is not difficult to imagine that the battle for market share is harsher than ever before. As a consequence, logistic managers have to turn stockholding and distribution activities from a support activity into a profit contribution. Cross docking has been around since the 1930s, but has emerged as a strong weapon in the struggle for survival in the past decades. Let’s find out how it works. There are several definitions out there which describe cross docking more or less accurately. But it is probably more clarifying to explain the concept by looking at the basic functionalities of a warehouse. Whichever way you look at it, it boils down to 4 core activities: goods reception, storage, order picking and dispatch. Cross docking basically eliminates most of the costly storage and order-picking functionalities, thereby boosting products towards the shops and customers. Truckloads are unloaded at the entrance docks. The goods are sorted and then placed in aisles from which lorries will be loaded again – in and out in no time. Suppliers A, B and C deliver their product and then goods are loaded in any combination onto trucks that will depart for the stores. Picture 1 illustrates the process quite simply. Suppliers A, B and C deliver their product and then goods are loaded in any combination onto trucks that will depart for the stores. Now this may seem a really simple solution, but in reality it requires a certain category of goods, firm control over information and data, and supply chain thinking, as it can only function properly if there is a close relation with suppliers and distribution partners. We will deal with the goods category later and have a closer look at the other two requirements. In cross docking many deliveries take place during a single day. Therefore suppliers need to be informed in an accurate and timely way about the deliveries they have to make that day. At the cross dock they need to know which cargo will be arriving at which gate, and where the goods need to be transported. Support tools like Electronic Data Interchange (EDI) therefore seem to be requisites rather than optional instruments. But the process does not stop at informing the supply chain. Cross dockers need to plan deliveries in precise time slots otherwise the cross dock will start to congest. Furthermore, the quality of each delivery needs to be pre-defined as there is no time for quality checks at reception. We can therefore see that cross docking requires a perfect organization. This extends to the lay-out of the cross docking itself. 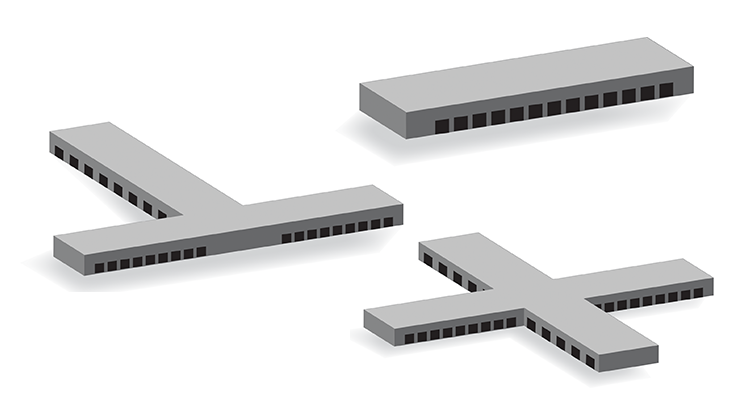 Cross docks are mostly arranged in an L-formation, but we also come across T and H shapes. A decade ago Bartholdi and Gue, researchers and scientists in the USA, defined a model by which one can calculate the best possible cross dock design. Parameters like the number of gates, distances, buffer spacing and goods turnover all have an influence on the final shape. Cross docking basically eliminates most of the costly storage and order-picking functionalities, thereby boosting products towards the shops and customers. Now, we have seen that the apparently simplified logistic activity called cross docking requires perfect organization and military precision, so let us now take a look at the main advantages. The first is reduced warehouse activity. More precisely, it almost eliminates the need for storage and order-picking. This means less space is required and there is reduced risk for stock keeping. Having a smaller warehouse leads to fewer personnel and lower staff costs. Cost savings, however, are not the only benefits. The cross docking activity improves delivery times and customer service significantly. Last but not least, enhanced information flows and modern track and trace devices provide the logistic manager with a better overview of the whereabouts and status of goods throughout the supply chain. Cross docking seems to be ideal for goods with high turn-over, goods that do not require further handling such as re-packing or kitting, and goods that are perishable. Especially in industry segments like food, medical, retail in general and fashion in particular, the method has proved an ideal solution. In 2004, Bartholdi & Gue demonstrated that a rectangle is ideal for facilities with 150 doors or fewer. For facilities with 150-200 doors a “T” shape is more cost effective. Finally, for facilities with 200 or more doors the cost minimizing shape will be an “X”. We already saw that cross docking requires a high degree of organization and the use of modern IT technologies. The cost of these could even offset the savings which were made by reducing warehouse space and order-picking activities. Another disadvantage is that supply chain partners may not be ready for the delivery process this requires of them. Cross docking is also difficult to implement if turn-over is low. Under these circumstances, ‘conventional’ paces and warehouse set-up are enough to get the job done. Finally we already mentioned that in cases where you need to add handling activities to the product, it would not make sense to cross dock. It is safe to say cross docking primarily demands speed from the equipment used. From the moment the lorries arrive, the goods must travel through the warehouse at the fastest possible pace. Forklifts, power pallet trucks and conveyor belts need to deliver them to the destined outbound dock within the shortest possible time. Electric trucks with pre-instated performance modes, like the Cat® EP16-20(C)PN(T) series, readily adapt to the tough job cross docking demands of them. In confined spaces, smaller counterbalance models or power pallet trucks can be just the right alternative. So, is cross docking now the ultimate remedy or solution for all problems and difficulties in the warehouse? We learned about the pros and cons of this warehouse activity, but reality shows numerous factors that need to be considered when making an informed decision whether to implement cross docking. After all, every organization has its own goals and priorities in terms of costs, desired market share, product assortment and supply chain organisation. It pays to visit and talk to professional colleagues to see how they went through the decision process. Share your views and needs with materials handling experts, like your local Cat Lift Trucks dealer, and let them assess your situation. Changes do not need to happen overnight, so take the time to carefully investigate your options.